After making announcing their entry in the PKL, the team Haryana Steelers finished at a respectable sixth place on the leaderboard. As they showed competitive form and vigour, the team also displayed moments of sheer brilliance. The future is bright for the Haryana Steelers and they are a team that’s taking every needed measure to get their hands on the PKL title. On their road to the title, they will have to battle it out in Bengal Warriors Vs Haryana Steelers matches, along with other competitors. On the other hand, the Bengal team is often seen to be tepid in their initial approach but are known to turn the game around and finish big. This can be expected in future Bengal Warriors Vs Haryana Steelers too. One reason to say so is that they are among the few teams who managed to get a win against the mighty Patna Pirates. The Haryana Steelers vs Bengal Warriors result of 2017 saw the Steelers take a comfortable win with a final score of 36-29. Let’s take a closer look at the players of Bengal Warriors and Haryana Steelers to gauge how they have prepared for Bengal Warriors Vs Haryana Steelers matches. Acquired by the Haryana Steelers as a captain for a whopping Rs 1.50 CR, Monu Goyat is a raider of high calibre and his previous stint with the Patna Pirates will add high value to the team’s performance this season. PO Surjeet Singh starts his second season with the Bengal Warriors as captain. He specializes in blocking or dashing raiders and his outstanding defensive skills which would be a treat to watch during Bengal Warriors vs Haryana Steelers matches. Wazir Singh of the Steelers may cause troubles to the Bengal Warriors as his raiding skills are among the finest in the business. The raiding departing in team Bengal is looking strong too with efficient raiders like Mahesh Goud and Maninder Singh known for consistent performance. After his stint with the Patna Pirates, Sachin Shingade is among the best defenders in the PKL and will be a key player in the Steelers defence department. 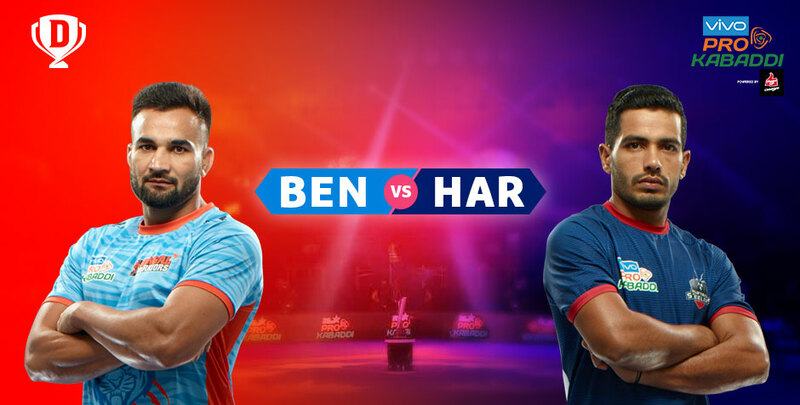 But team Haryana can be expect some tough defense from all-rounder Ran Singh during Bengal Warriors vs Haryana Steelers matches. Raider Vikash Khandola starts his second season with the Steelers and his third with the PKL. An upcoming talent in the world of Kabaddi, his exploits on the mat will surely add to the team’s final tally. He can prove to a major hurdle on the Team Bengal’s path to success. In the last Bengal Warriors vs Haryana Steelers match that took place, Haryana emerged as the winner. But season six presents a whole new line-up and things could go in the favour of the Bengal Warriors. The Haryana team is also a raider heavy team leaving a massive soft spot for opposing teams to take advantage. The Bengal Warriors, on the other hand, have a balanced mix of raiders, defenders and all-rounders. Due to these factors, the 2018 Bengal Warriors vs Haryana Steelers match will be an extremely thrilling contest you should not miss. Season six of the PKL has spiced up the competition, as exciting matches like the aforementioned Bengal Warriors vs Haryana Steelers are expected to level up the excitement. So, if you wish to take on the role of a sports manager and have a knack for identifying the best performers, test your sports skills on Dream11. Visit the official Dream11 website or check out the Dream11 mobile app and get started by picking your list of raiders, all-rounders and defenders before every match. Get rewarded for your picks and sharpen your skills with the contests and mega contests on Dream11. Enjoy a truly immersive sports strategy experience on Dream11 today!